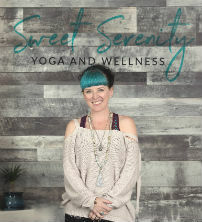 Jenine Lehfeldt‘s desire to create sustainable lifestyle change through physical, mental and spiritual progress inspired her to launch her business Sweet Serenity Yoga and Wellness in Delta, BC. Her studio provides various fitness programs including Yoga, Pilates, Barre and Zumba under very well-trained teachers, helping students achieve their fitness goals. Sweet Serenity Yoga and Wellness encourages and inspires a diverse environment of fellowship; welcoming all and encouraging its members to believe in themselves and recognize the strength within. Q. What have your Women’s Enterprise Centre (WEC) loans enabled you to do in your business? A.WEC loan has enabled us to complete lease hold improvements and protect us with a contingency fund for the slower summer months. Q. What other services has Women’s Enterprise Centre provided you with and how have these services helped you? A.WEC has provided me with training opportunities to stay updated with business skills. 1. Double the estimated time a contractor gives you to complete a project. 2. You’ll need more $ than you anticipated, so be sure to have a contingency fund. 3. Marketing is your friend! Don’t be afraid of it. A. I am a people person. My outgoing and friendly personality has allowed my clients to feel safe, invited and serene in my studio space. Making people feel welcome and cared for enables them to feel confident in their new healthy choice of joining a yoga and wellness studio. A. I’m a dreamer, and some may think I have lofty goals. In 5-7 years’ time, I plan to franchise Sweet Serenity Yoga and Wellness so that others may benefit from our varied classes and safe and welcoming environment. Until then, I plan on growing our community and fellowship through genuine passion for full body, mind and soul wellness.